ST. GEORGE — Utah has the fifth-highest suicide rate in the United States, a country where suicide is the 10th leading cause of death, prompting Southern Utah University’s Rural Health Scholars to address the alarming numbers by getting involved. Suicide is the leading preventable cause of death, which is why the university’s Rural Health Scholars’ students are taking action. 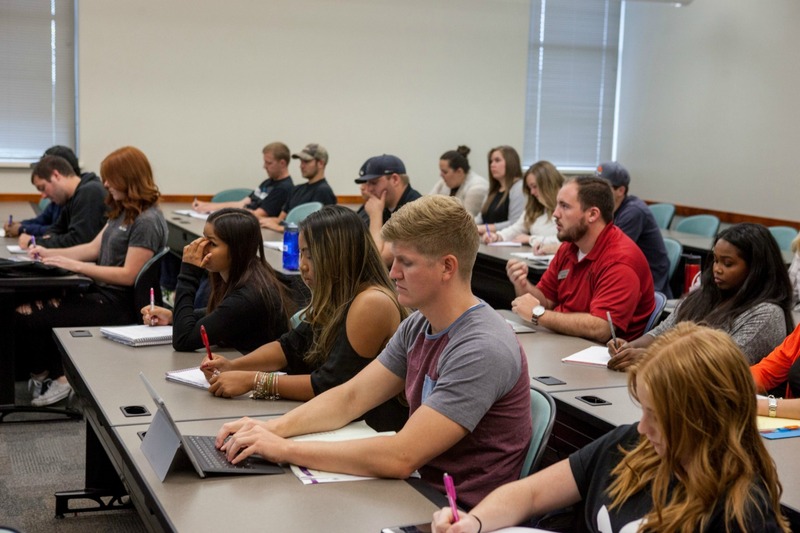 To that end, a “Question, Persuade and Refer” or “QPR” training program, an emergency mental health intervention designed to help those struggling with suicidal thoughts, has been organized and facilitated by Ryan Lofthouse, a senior pre-med student with Rural Health Scholars. Lofthouse became involved after taking part in an internship at Southwest Behavioral Health Center in suicide prevention. The training course is designed to raise awareness and educate participants on the warning signs associated with suicide, and to recognize when someone is struggling or at risk of taking their own life. Though it is not a form of counseling or treatment, it has already made an impact in areas where the courses are available. For one biology student, the training helped him address the issue with a friend who “almost took his own life,” and believes the program should roll out nationwide, and should be taught to “every single person,” SUU sophomore Samuel Stewart said. Often times those with suicidal thoughts think they cannot be helped, but a friend or loved one can use QPR to persuade them to get help, and appears to be working. “As a suicide survivor, it is nice to see that people actually care and go through training to help others out,” said a student who has gone through the training with the university’s Rural Health Scholars who wishes to remain anonymous. It is time to step up, talk about suicide and join the fight to help those who are struggling. Additional resources are available through Southern Utah University as well as in Cedar City. SUU Counseling and Psychological Services (CAPS) | 435-865-8621. Southwest Behavioral Health | emergency telephone number | 435-634-5600 | non-emergency telephone number | 435-867-7654. National Suicide Prevention Lifeline | 800-273-8255. SafeUT App | The app that allows people to report not only if someone is in a crisis but affected by bullying and violence. Cedar City Emergency Dispatch | Ask for the Crisis Intervention Team 435-586- 2956. Campus Police | 435-586-1911 | Officers are also trained in crisis intervention. It is time to step up, talk about suicide and join the fight to help those who are struggling. For anyone interested in becoming QPR trained, click here to sign up.